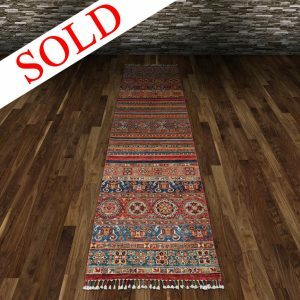 One-of-a-kind, Fine Wool, Hand Knotted Rug from Pakistan. – Kazak: Geometric forms. 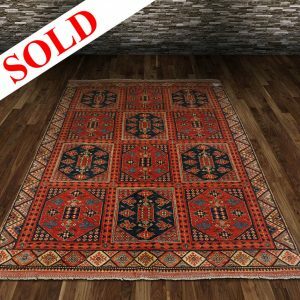 Kazaks are mainly woven by the people of Armenia and Afghanistan who are influenced by the Caucasian designs found in old rugs from Russia and the USSR region as well as those found in rugs from the northern parts of the Persian empire. Usual colors are bright red/rust, blue, ivory and green. 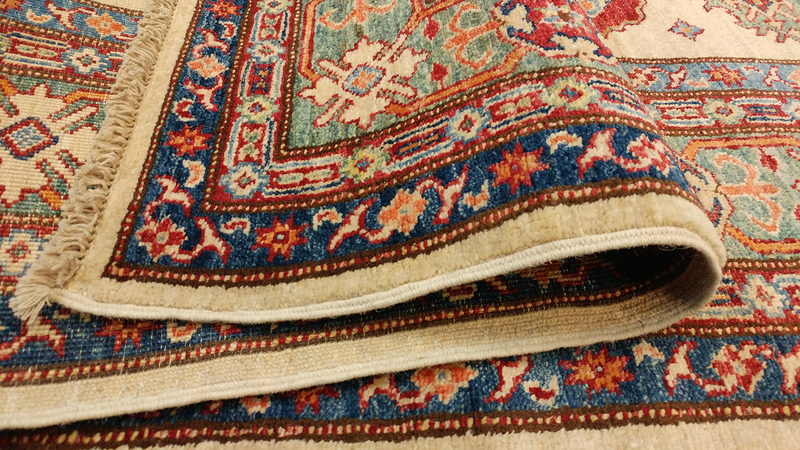 Our Kazaks are hand woven with fine wools in Paksitan by Afghan master weavers. 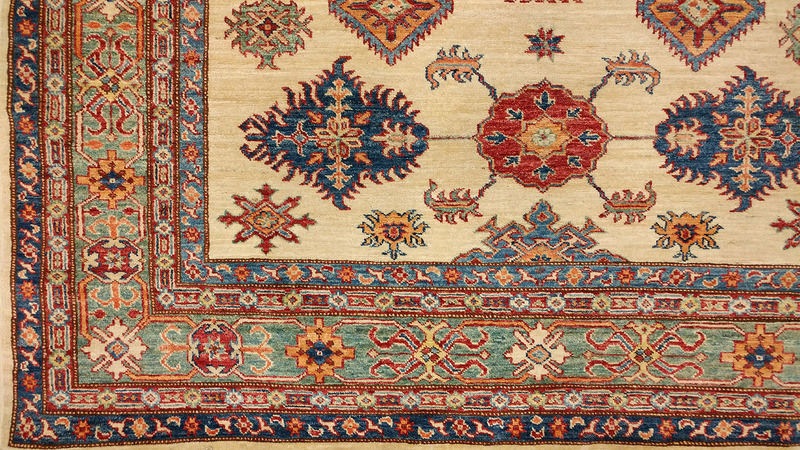 ►Is this Rug Right For You? 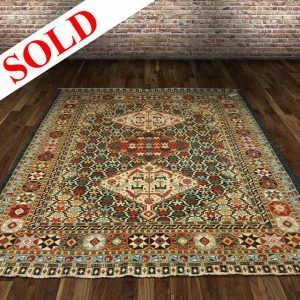 Please check our Rug Size Guide and also our Return Policy before any transaction. * Colors and Size may vary slightly. @2018 - Terry's Rugs. All Right Reserved.